I occasionally make short videos about scientific topics. A few of the more popular ones are shown below. Lab Waste is a video I made in 2008. It was featured on WorldChanging and the Creative Commons website, and screened in New York City at the Imagine Science Film Festival in the “Quirky Shorts” programme. I’ve recorded a few stop motion videos with Lego scientists. This is my personal favourite. 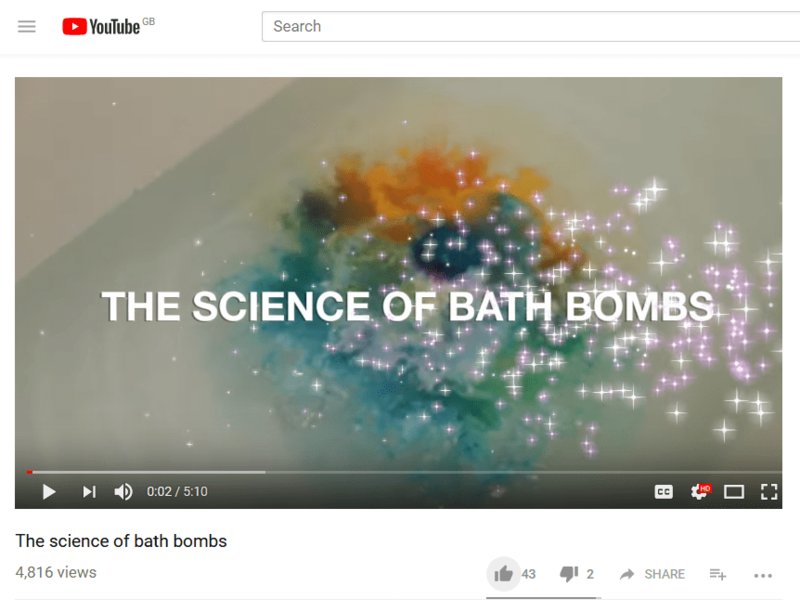 One of my most popular YouTube videos receives a lot of views from people interested in making their own bath bombs. In this video I show the steps of making a bath bomb and explain the science behind it.